Convert BMP to TGA in batch automatically. 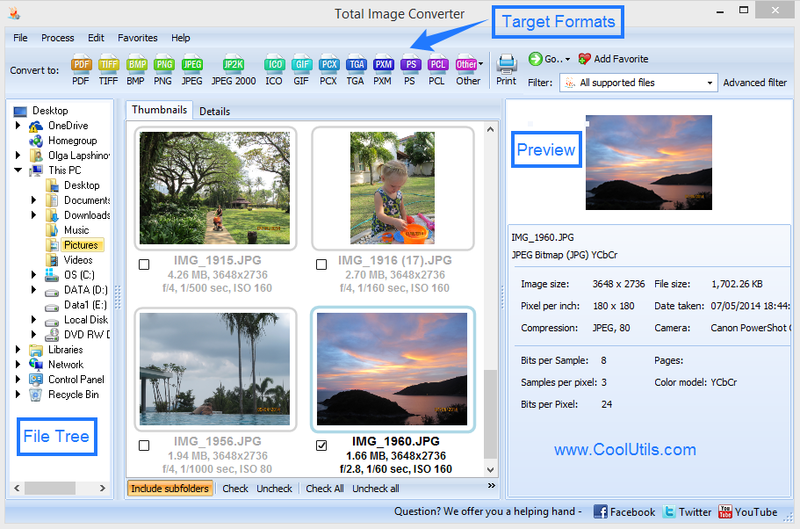 You are here: CoolUtils > Total Image Converter > Convert BMP to TGA in batch automatically. BMP image format is very widespread and popular among users who value great image quality. However, in certain cases a need to convert files from BMP to other formats arises. One of the formats that is very demanded by many people is TGA, also known as Truevision TGA and TARGA. 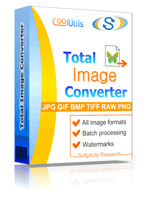 In case you find yourself in a situation where you need to convert BMP to TGA in batch, you should try Total Image Converter. This tool developed by a renowned software development company CoolUtils is guaranteed to help you convert large BMP images into simple TGA files. Are you wondering why Total Image Converter is a batch BMP TGA converter? The answer is simple: because users tend to store hundreds of BMP files that take hours to convert. With CoolUtils image converter you can upload up to 150 files and convert them at a time! Apart from batch conversion option enabled in Total Image Converter, there are many other functions that proved to be very useful. First and foremost, this CoolUtils BMP converter is supportive of various formats. It can be used to process not only BMP into TGA, but also images saved in PG, GIF, BMP, PCX, PNG, TIFF, RAW. 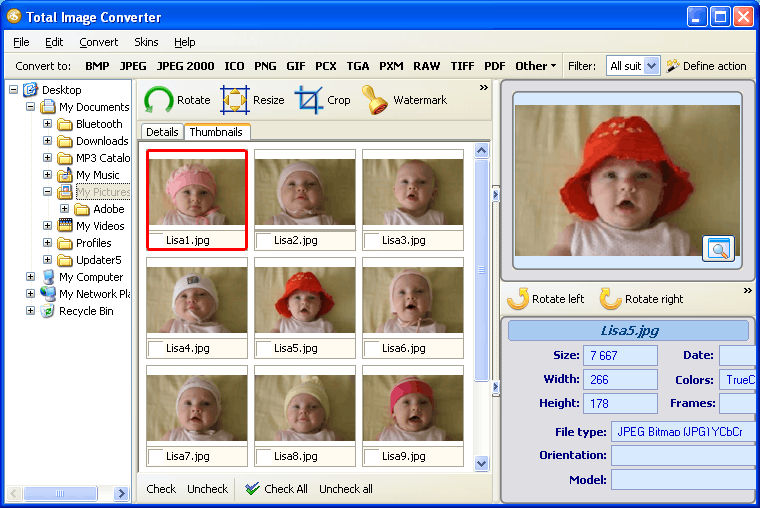 Second, Total Image Converter can be used to not only convert files in batch and individually but also to edit images. You can crop, rotate and even resize files before or after conversion. Moreover, you can use this tool to apply watermarks to images in batch. Isn’t it great that you can protect hundreds of files against unauthorized use in just a couple of clicks? 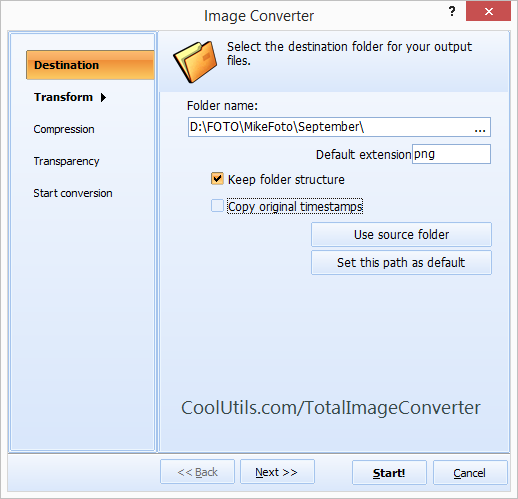 Total Image Converter is very easy to use. All you need to do to process BMP into TGA in batch is install the program, select BMP files, set TGA as target format and click on the “Start!” button. All the rest will be done automatically unless you choose to change default settings. Get your free trial version of Total Image Converter now and see how easy it is to convert BMP into TGA!